The Whirlpool Every day, Care Project is all about making the world a better place one act of kindness at a time. Whirlpool is dedicated to making the world better with their partnership with Habitat for Humanity, and their Whirlpool Every day, Care Project is all about encouraging us to care every day, as well. Today’s post is sponsored by hhgregg, by my love for their new Whirlpool products are all my own. Whirlpool Every day, Care is all about sharing love, friendship, and caring everyday. That doesn’t mean you have to make a best friend every day. It just means trying your best to pay it forward whenever you can. If you watch the news at all, you can clearly see why we need more of that! I do my best to show I care whenever possible. The last time I went downtown to a blogging event, I noticed that one of the parking meters was about to expire. I took that opportunity to spread the caring by throwing a little extra on the meter. I once snagged a little dog wandering around our neighborhood and tracked down a hysterical owner. These aren’t overly huge things. They took very little time. However, they served to make peoples’ lives better. 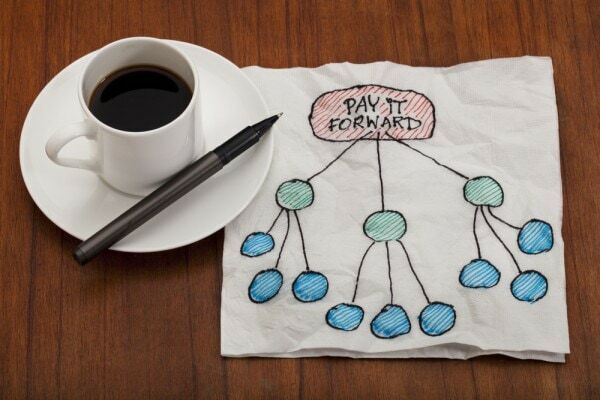 That’s what the Whirlpool Every day, Care Project is all about. And Whirlpool puts its money where its mouth is. It’s a major contributor to Habitat for Humanity, donating all sorts of appliances, money, and volunteer time to the organization world wide. Whirlpool Every day, Care is more than a slogan, it’s what they do. I absolutely love that, because it’s what I try to do, as well. Now that I know the good work that Whirlpool does with Habitat for Humanity and its Whirlpool Every day, Care Project, I’ll be buying their appliances when I need to upgrade. I feel like if I support them, I support the efforts of Habitat for Humanity, as well. You can find Whirlpool appliances at hhgregg, the name in appliances. They have a great selection of ranges, refrigerators, and dishwashers to choose from. Their ranges feature Frozen Bake™ technology, which lets you cook frozen meals faster. And with the FIT system, you can easily upgrade to a full-depth, slide-in range that fits your existing kitchen cutout. The AquaLift™ self-cleaning technology allows easy mess cleaning without chemicals. Whirlpool Double Drawer French Door Refrigerators help make it easier to keep the contents of the fridge in order, instead of it looking like a food bomb went off inside it. Their dishwashers with TargetClean™ technology make soaking and scrubbing casserole dishes and pans a thing of the past, and their Silverware Spray virtually eliminates rewashing. It also features an adjustable upper rack, and a faster wash cycle. What’s the best part of all of those appliances? 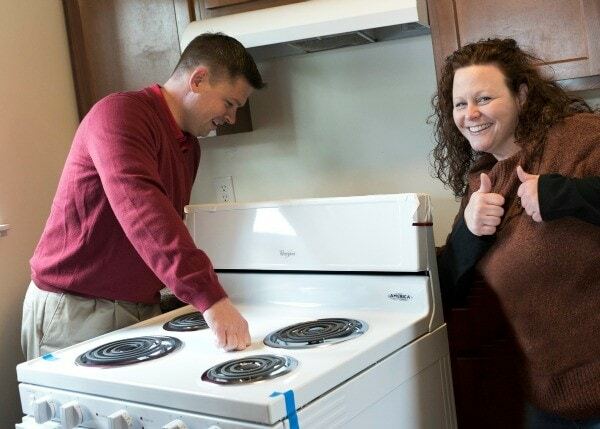 The Whirlpool Every day, Care Project donates appliances just like them to Habitat for Humanity. I love the Whirlpool Every day, Care Project. It resonates with what I’ve always tried to do, and I think we should all get on board with it. Pay for a coffee. Open a door. Do something small everyday to show the people around you how much you care. It’s the easiest way to start making the world a better place. Donate or volunteer with Habitat for Humanity or participate in the Every day, Care project. Also, to check out the new Whirlpool products. Great program and oone thaat also help rejuniate neighborhoods. I like how whirlpool is parricipating in it. Habitat for Humanity is wonderful organization! I have helped them build a few times. The Whirlpool Every day, Care Project sounds like a great program. I like to help and I hope a lot of people will join, too. I love how you paid it forward with the parking meter! It is so important to do this all year long, not just at the holidays! I love what Whirlpool is doing, so important! Habitat for Humanity is a great organization! In this town we have a Restore for them and every time you buy something there they donate the money to Habitat for Humanity. This is such a perfect fit with Habitat for Humanity. I love that they are helping them and giving people better lives. I just think this is great. I love the habitat for Humanity, and I enjoy Whirpool products too so great. Love giving back this time of year! I think Habitat for Humanity is such a great program. I’m glad Whirlpool gets in on the giving back. Habitat for Humanity is such great program, I love the things that they do! Yay for Whirlpool jumping onboard too! I had no idea Whirlpool was such a huge contributor to Habitat for Humanity. Now I have another reason to love them! I love that Whirlpool has this program in place to help with Habitat for Humanity. Whirlpool has always been a good choice in appliances as well. I had never heard about this and am so glad to hear that Whirlpool is doing this! Kudos to them, I’m happy to support them. I’ve actually helped with a Habitat build before and it’s amazing the amount of coordination and support that goes in from all aspects of commercial and community donations and volunteers. It’s great that Whirlpool is doing so much good! We have a Habitat for Humanity house in our neighborhood. It was amazing to see so many people come together to help this family. whirlpool is an amazing company. Habitat for Humanity helps so many family’s it makes sense they would partner with Whirlpool. This is such an awesome partnership. My sister worked for Whirplool for a long time. She said it was a great company! It is so great that Whirlpool helped with this. What a great partnership! I love when companies give back to charity! It can make such a huge difference! I love it when companies give back. It’s so refreshing to see! I love that they are giving back to those in need. Nice to see a big company help others out. 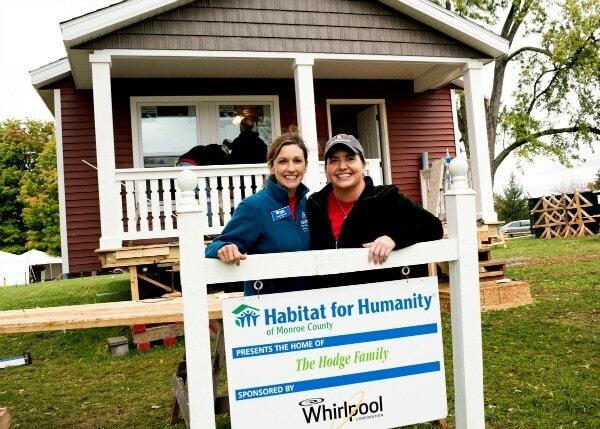 That is so great that Whirlpool supports Habitat for Humanity. That is such a worthy organization and what a perfect way for this big brand to give back to the community it serves. I helped build a habitat house once and it was one of the best experiences I had ever had. I really want to upgrade my applicances. What a great thing to give back to the community!